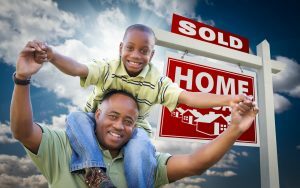 It is often more emotional to sell a home than to buy a home, and the reason for selling your home may be a determining factor in the urgency of the sale. The urgency may also have an effect on the price of the property. It is very important to first calculate the expenses that may be incurred while selling your home. This knowledge is absolutely necessary because it helps you to determine a good price for the house, as well as the potential profit that you can realize. The cost of selling your home may include things like commissions, taxes, advertising costs or specific reports, such as a property inspection. Your Weymouth Group agent will research and analyze your home, the neighborhood, the local attractions and schools. Compare your home with others currently on the market and those that recently sold in your area. Evaluate a price strategy and distinguish what makes your home one of a kind. What trends are affecting the value of my home? 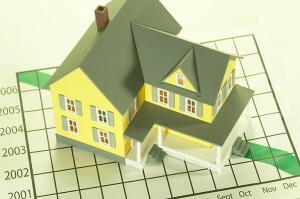 What new economic policies will be shaping my real estate decisions in the coming months? Each month, This Month in Real Estate provides expert opinion and analysis on real estate trends across the United States and Canada. Watch the videos and read reports below for the latest market news. We will establish your needs and how to best serve you. We will walk you through the selling process and determine a competitive list price. We will manage the process that will showcase your home at a premiere level with maximum exposure. Beginning with the Design Consultation, the professional Stager and Marketing Director will stage, review contractor options and generate the home’s Fast Facts. A “Going Live” Timetable outlining the dates for those marketing activities that need to take place before listing your home will be emailed. this will include the Professional Photoshoot, Just Listed Postcards, Brochures, Signage and installation of the lockbox. Dates and times will be agreed upon. Marketing & Positioning Strategy with Sales Team each week. Weekly Mastermind sessions are conducted to ensure your listing stays fresh and continues to draw the highest qualified buyers into your home. Market Snapshots will inform you of the sales activity in your neighborhood. Prompt follow-up with all agents and buyer leads. Open house feedback provided within 24 hours. Your Weymouth Group agent will negotiate the best price and terms for you. All paperwork will be reviewed and handled so that you will be afforded all the protections as mandated by state and local regulations. A calendar will be created to ensure that all Financing, Appraisal, HOA Transmittal, and Inspections are in compliance with the timelines. We will negotiate inspection items and will help facilitate contractor appointments. The final step to a smooth transfer of ownership. Moving Checklist and Settlement Notification outlining settlement instructions and utility companies emailed within two weeks before closing. Closing Documents will be reviewed with you at a minimum three days prior to settlement. Final walk-thru inspection done by buyer and buyer agent.